the school-pseudo-science says that the heavy materials like e. g. gold were produced by dying suns. Because of a super nova the elements were catapulted through the outer space until they landed on our planet millions of years ago. Since I know that this can’t be the truth, I am starting to think about a better theory. Furthermore the pseudo-science says that oil is a fossil resource, which was created from biological material under pressure millions of years ago. In fact there is no evidence that oil has a biological origin. There is no labor experiment which proofs this. I have found a German author, who has evidence that there are oil and methane recourses for the next thousands of years available. He experienced that depleted oil fields are regenerating over some time. Because of this, he has the theory that oil and methane are inexhaustible resources. Now I wonder if e. g. gold is being created constantly as well. I have found some stuff about ancient alchemy. There are symbols which seem to stand for the combination of gold and the sun, silver and the moon, mars and iron or venus and copper and so forth. This makes sense for me and I find this very interesting. Is there anyone in this community who has some deeper thoughts on this topic and would like to share it? Some research recommendation about this lost / hidden (?) knowledge are very welcome. Anko, you might be interested in reading book 3, of "The commentaries of Proclus on the Timaeus of Plato. My edition is the Kessinger Publishing co. reprint. On page 398 it reads, "Nor are they right who adduce things which are melted together, as Gold and Silver. For of these there is the same essence; since both are water." Of course his water, is one of the famous, "fire, air, water and earth" matters they speak of. 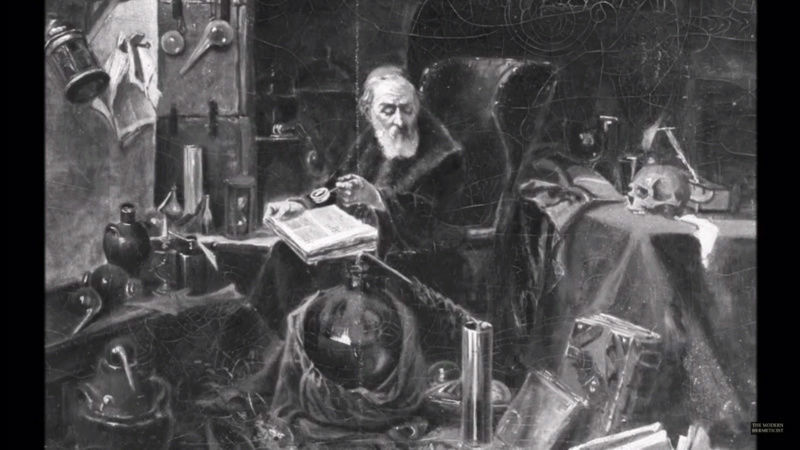 Maybe alot of the alchemy talk is allegory about astrology and mixing things(mundane astro) and people(natal personal astro) on earth and some are only thinking it is literal metals and elements in the material land and making things. The paintings of sciencey looking guys playing with things could be that.. like a hidden meaning because Astrology is in everything. I can see some of how this works because always doing charts and people / event watching but I feel rather useless with this information and now I have secluded myself even more from the astrological community with all the flat earth talk. But just an astroey self educated thought here that always lingers..
Anko, check also "The Magus" by Francis Barret, or Scala Philosophorum, most alchemical works have been written by masons and Secret societies, so I don´t think they´re giving you the whole picture unless you figure it out, but I think you´re in the right track, as far as I can tell, look at the Earth as an extension of our consciousness and it´s minerals as the physical manifestation of it, you should also approach the Runes for knowledge, if you´re from Germany they´re very well within you , and those are very mighty triggers that can help you reach your goal. Hey Anko, There are many great works out there on half explaining alchemy but many lack exact answers on purpose. As far as where to start I would recommend starting with yourself. Prayer is giving to the divine and meditation is the receiving. Work on both of these aspects and ask for help and explain why, and what you want to do with Alchemy to benefit the world. While meditating work on getting to know your true self better and that goes for this life as well as your previous ones. Look into balancing your chakras and opening up yourself. True Alchemy is done with the mind. The reason so many of the mason will fail and continue to fail is because the divine will not help them in this process because of the evil they are doing to this plane. They have to resort to methods that may work but will never become true adepts as we know the gods(and goddesses) they praise(Satan, Saturn, Etc.) I would recommend asking for a spiritual guide to help you through the process if you are serious about learning and improving yourself spiritually. I'm a polytheist, and I'm fairly novice in my opinion. The suggestions I made above have given me the best progress so far and I continue to work on these things everyday. I believe these are important things rather working on Alchemy or not.